Singing is something for the soul. 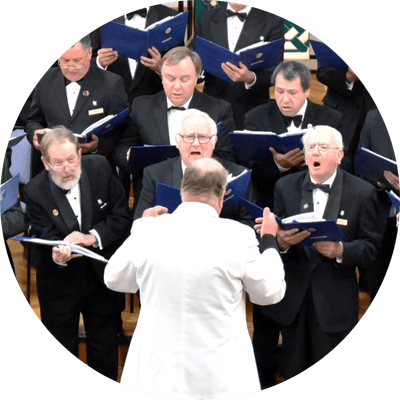 Our mission is to promote the enjoyment of singing among members during choir practice and concerts. 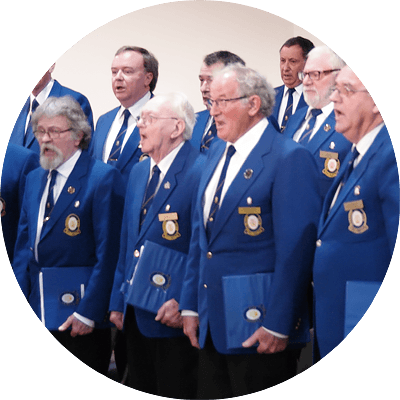 Each member will enjoy the improvement of his singing prowess and fellowship during and after our activities, including some social events during the year. Perform concerts to assist fundraising for churches, clubs, community and charitable organisations. Provide a platform for the advancement of the performing arts, including encouragement for performers and artists. Encourage the growth of fellowship and social harmony among club members. Promote the development of musical skills amongst young people in the Adelaide Hills via scholarships. If you're a male and enjoy singing, come along to one of our practices. We love having new members joining us! Looking to run an event or fundraiser? We'e available for both individuals and organisations who are looking to hire entertainment.